Italian cheeses have a long and prestigious history. It all began over 2,000 years ago during the reign of the Roman Empire. During the first century AD, cheese presses were invented to make cheese curd. The Romans were also the first to develop cheese aging processes in different conditions to make specific flavours, smells and textures. Such was the importance of cheese that the Romans created a whole room dedicated to a cheese kitchen, known as a ‘caseale’. In some of the larger towns, whole areas were set aside purely for making smoked home-made cheeses. The Romans continued to refine their cheese-making methods which were spread throughout Europe as the Roman Empire grew. Once the Roman Empire had come to an end, many of these cheese-making processes were abandoned, often only surviving in remote regions or continued in monasteries. The many different regions of Italy each developed their own unique traditions and flavours over time. Ingredients available locally and the customs of the region played a big part in the development of the cheese in that area. Asiago – this is a hard cheese made from cow’s milk largely in the Veneto region of the country. There are two varieties, with one being much milder than the other. They both have Protected Designation of Origin status in the EU, which means that to carry the name, the cheese must be made in a specific way, only in this region of Italy. It goes well with salads and melts well for use in sauces and sandwiches. Feeling hungry? Why not go out to a Restaurant Dublin tonight like www.toscanarestaurant.ie? Burrata – this cheese is made from fresh Mozzarella in a sack mixed with cream or butter and tying it up. The name ‘Burrata’ literally means buttered in Italian. When the Burrata is cut open, the cream variety oozes out so must be eaten in one sitting. It’s a very popular cheese choice in the country. This cheese was first created in the early 20th century in the Murgia area. By the mid-20th century, it had surged in popularity and was an effective way for cheese factories to use up their leftover scraps of Mozzarella. It goes perfectly with crusty bread, a touch of extra virgin olive oil and tomatoes. Fontina – this is a medium-flavoured cheese that takes its name from the region where it is produced. It is semi-soft and mildly spicy, coming from the north-west of Italy, near the border with Switzerland. Made in this Alpine region, it is a pale yellow in colour and melts beautifully, making it perfect for pizza toppings and also for use in desserts. 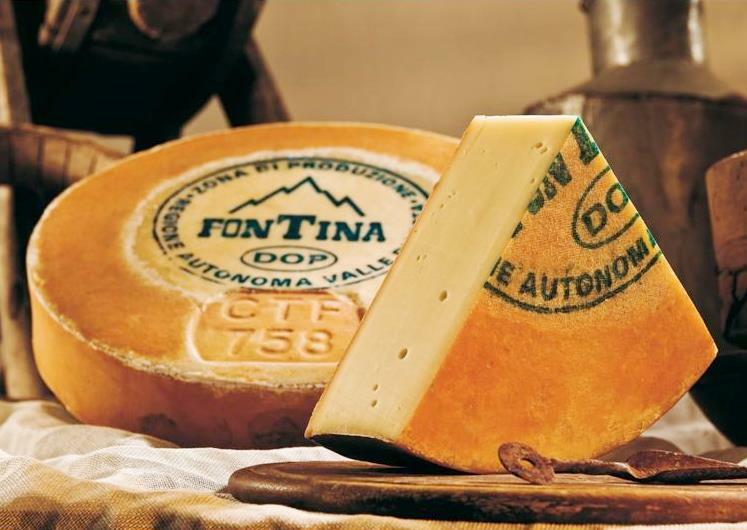 Fontina was one of the first cheeses to receive Protected Designation of Origin (PDO) status. Gorgonzola – this well-known blue cheese comes in two different varieties. One is a creamy sweet variety known as ‘dolce’ and the other is ‘mountain’ which is slightly sharper and soft. Both are made from cow’s milk in the Piedmont and Lombardy regions. The cheese is named after the town of the same name and has been made since the 9th century. It contains a blue-green mould called Penicillium Glaucum. The cheese has also been granted Protected Designation of Origin (PDO) from the EU in 1996. Gorgonzola works best in salads, with pasta and also in soups, dressings and even in desserts when paired with grapes or apples for example.